“If you’re early in the merger process, or have just completed an acquisition, you should speedily buy this book and follow what I believe is the profession’s only guide to a step-by-step approach to what is likely to be the most complex, potentially vexing challenge you will face in your business career. Greg Friedman is an innovator and advocate for excellent wealth management. He is co-founder and CEO of Private Ocean, one of the West Coast's leading wealth management firms. He’s also the former co-founder of Junxure, an industry leading CRM for advisors. Friedman is widely recognized as one of the nation’s top financial advisors. Investment Advisor Magazine named him as one of its Top 25 most influential financial advisors in 2008, 2009 and 2010. In 2008, Financial Planning Magazine included Friedman in its elite list of financial “Movers and Shakers.” In 2007, Charles Schwab honored him with its prestigious IMPACT Award® for “Best in Tech.” Friedman plays a lead role in the movement toward tighter technology integration in the financial planning industry. He was also recognized by Investment News in 2017 as an Icon and Innovator. Shaun Kapusinski is all about operational excellence. He has spent over 15 years at Sequoia Financial Group, LLC, and is currently a Director of Operations focusing on technology and administration. Kapusinski turned his passion for operations into one of the industry’s first operations-focused study groups. In 2010, he founded HIFON, an RIA operations network linking together over 200 RIA firms across the country. Shaun’s other industry and community involvement includes being a member of The University of Akron’s Finance Advisory Board; he is a current Committee Member for the operations track at Bob Veres’ Insider’s Forum; and he is a former member of the Schwab Advisor Services Technology, Operations & Service Advisory Board. Shaun has been a speaker on various operations topics at multiple industry conferences. 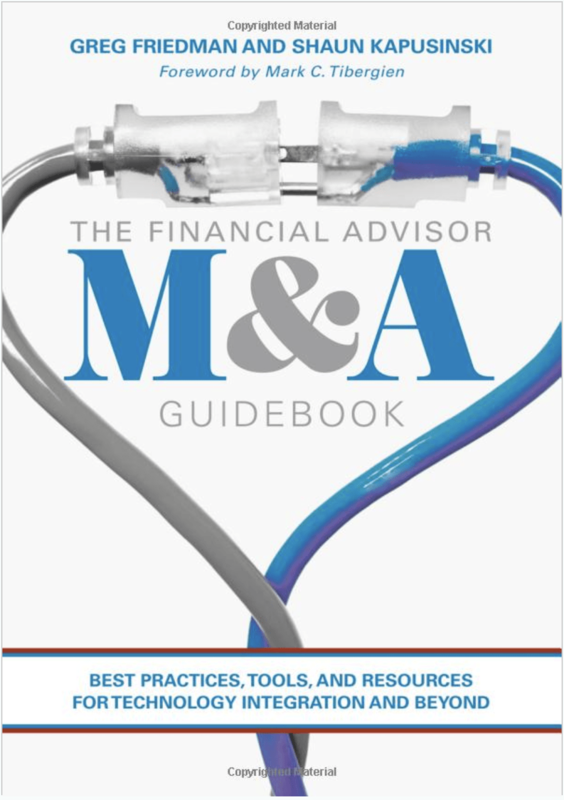 Combining the real-life experiences of a life-long financial advisor with the expertise of a 15-year operations director and founder of a large RIA ops network, this book takes real M&A experiences of the financial services industry and offers best practices, tools and resources to help advisors make smart decisions about technology integration that elevates the firm’s goals and solidifies its future success. For more information, log on to palgrave.com or visit amazon.com.